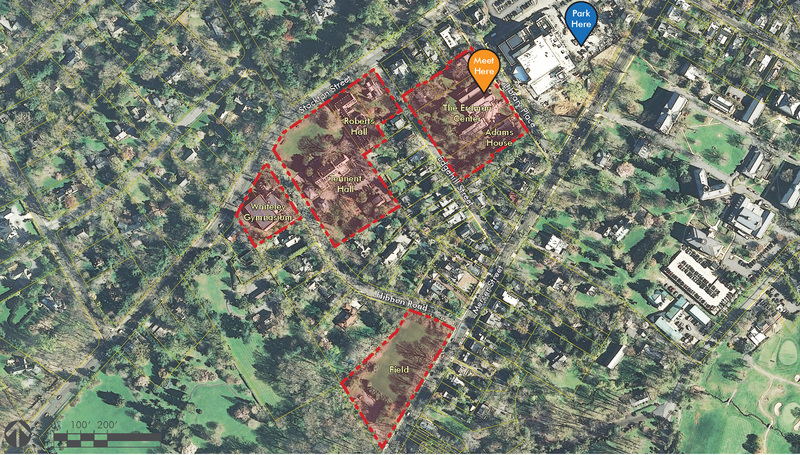 On October 8th, the Municipality of Princeton determined that part of the Princeton Theological Seminary campus (as shown in the map below) qualifies as an Area in Need of Redevelopment. This designation gives the town greater control over the necessary redevelopment than conventional zoning would do, and encourages the public participation in the process by neighbors and the larger Princeton community. Please join Princeton’s Ad Hoc Committee for this project at one of the two upcoming NEIGHBORHOOD MEETINGS to learn more, participate in a discussion with fellow neighbors and stakeholders, help identify existing issues, and ask questions about the future of the designated properties. Any questions: Contact Gail Ullman, Ad Hoc Committee or Ilene Cutroneo, Municipality of Princeton, 609-924-5366.